Home » international news » What does Russia want from Donald Trump? There are several explanations for why relations between Russia and the United States having been in decline since 2010, from Russia’s increasingly aggressive postures (especially regarding Ukraine) to US support of regime-changing revolutions (especially during the Arab Spring). The fact is, we are quite far today from the the “reset policy” attempted by the Obama administration in 2009 to bring the two countries closer. For the past few months, US-Russia relations have been a roller coaster ride. Though presidential candidate Donald Trump seemed to be praising Russian President Vladimir Putin during America’s 2016 election campaign, everything changed quickly once he was elected. The US media started to investigate even more potential “Russian connections” to the president-elect, and the FBI launched an investigation, putting Trump on the defensive. Then, following the suspected sarin gas attack on the Syrian village of Khan Sheikhun that killed more than 80 civilians, Trump decided to strike the Assad regime on April 7. This provoked a strong reaction from Moscow. Whichever side you are on, everybody can agree that today, relations between Russia and the US have almost reached an all-time low, recalling – at least in terms of the rhetoric being employed – the worst periods of the Cold War. The irony is that, until recently, both President Trump and President Putin seemed eager to put the relationship back on track. This was apparent during the preparatory phase for US Secretary of State Rex Tillerson’s visit to Russia on April 11 and 12. On both sides, foreign policy planners were working to resolve numerous issues. Americans were eager to talk about a potential nuclear arms reduction deal that could lead to ending sanctions against Moscow. On the Russian side, there was mention of discussing the many concerns that may not be well-known to Western readers, such as the arrests of Russian citizens by American special services in foreign countries, the rights of Russian foster children in the US and the “artificial difficulties” created for Russian diplomats as they perform their duties. But just before Tillerson’s departure for Moscow, events in Syria changed both the tone and the agenda of the visit. Russian and US officials – including the Russian minister of foreign affairs, Sergey Lavrov, and Rex Tillerson himself, as well as both presidents – exchanged harsh words. President Vladimir Putin even said that the relationship had deteriorated since the Obama administration. Still, the long-awaited visit of Tillerson to Moscow stayed on schedule. The US secretary of state first passed a whole day behind closed doors with Sergey Lavrov before spending another two hours with the President Putin. This was a sign, at least, that both sides were still engaging in talks and that they were, in some way, successful. 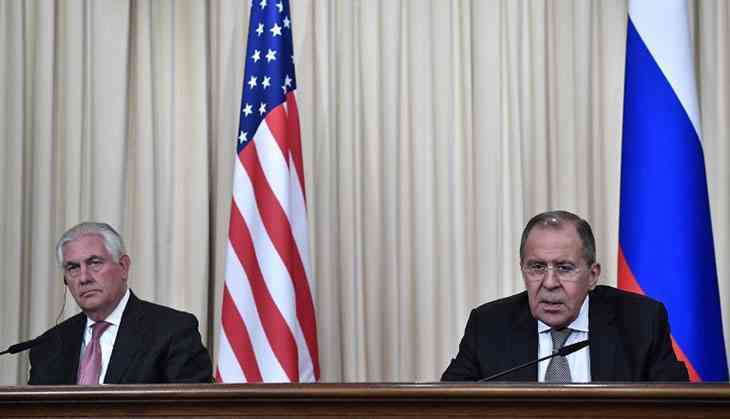 Results announced by Lavrov and Tillerson included – beyond discussions on Syria, North Korea and Ukraine – the appointment of a special task force to explore existing tensions between the two countries. The two also mentioned the need for reviving business contacts, which could imply lifting some mutual regulations that limit trade between their countries. So what exactly happened during that visit? There is every reason to believe that these two did not share with the public all the details of their talks. Putin is famous for his love of secrecy, a habit that comes from his background as a KGB officer. Tillerson, on the other hand, came to politics from business, where nobody ever gives away the details of a just-made bargain. Certainly, something interesting will come out of what was discussed in that long meeting on April 12. As the world watches Trump to see how US policy toward Russia develops, observers should also monitor Russian reactions to American policy worldwide. Already, the White House has made attempts to move American media coverage away from the tensions with Russia that followed the US intervention in Syria. Trump has since ordered military operations that demonstrate that there are other hot spots around the globe, from Afghanistan to North Korea. In fact, it looks today like the North Korean nuclear program is a matter of great priority for the American administration, and it is no coincidence that this issue was brought up at the post-negotiation public press conference in Moscow. If there is more action ahead for North Korea, Washington would need Moscow as an ally – or at least a guarantee of its support. What price Trump will pay for such support remains to be seen. On an alarming domestic note here in Russia, shortly after the US secretary of state left town, law enforcement officials arrested about ten people nationwide on charges of “wrongdoing” during a March 26 anti-corruption rally, Russia’s largest protests since 2012. Some analysts say that the timing of that crackdown – the day after Tillerson’s visit – illustrated Moscow’s clear desire to make some progress during Tillerson’s visit. In what was already perceived as a difficult negotiation, Russia did not want arrests of the political opposition to become yet another subject of contention.